The 2,400 Chak people of western Myanmar and neighbouring areas of southeast Bangladesh comprise one of the least known Buddhist ethnic groups in the world. 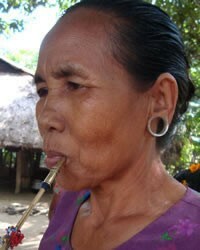 More than 1,200 Chak live in the Blue Mountains of Rakhine State in Myanmar. They are isolated from outside influence, inhabiting small villages in a tropical forest. The Chak are not officially recognized by the Myanmar government, who acknowledge the existence of just seven tribes in Rakhine State. A similar number of Chak live across the border in the Chittagong Hill Tracts of Bangladesh. The most recent census in Bangladesh—conducted in 1981—listed 909 Chak people there. In both nations the Chak rely on simple agriculture and hunting to survive. They rarely venture outside their communities. Because of the political instability in this part of the world, the Chak have sometimes found it wiser to stay detached. In June 2001, two Chak people in Bangladesh died when they stood on a landmine while collecting bamboo. Landmines have caused 61 deaths and 125 injuries in this part of Bangladesh since 1993. There has been very little research done on the Chak people. 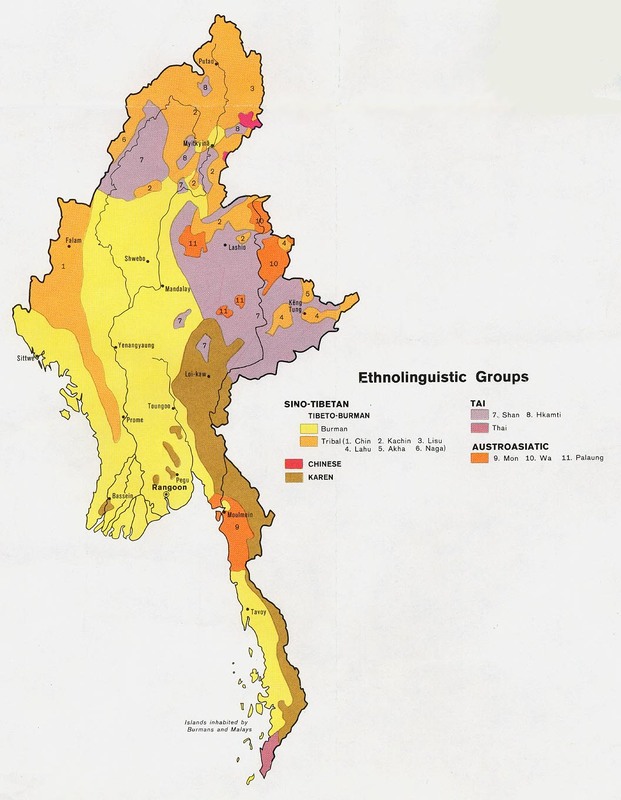 The Ethnologue lists the Chak people, but it does not identify what linguistic family the Chak language belongs to. It is most likely part of the Tibeto-Burman family, related to other small languages in the area such as Dainet and Thet. The Chak are not the same as the large Chakma Buddhist group of Bangladesh, who speak a language from the Indo-European family. Several small Buddhist ethnic groups live near the temple ruins of Mrauk-U in Rakhine State, Myanmar. Mrauk-U was once the centre for one of Myanmar's most powerful kingdoms. Founded by the Rakhine king Minzawmun in 1433, Mrauk-U grew in influence throughout central Myanmar and the Indian subcontinent, becoming a centre of wealth and commerce. The kings of the dynasty even hired Japanese samurai as bodyguards to quell the threat of assassination. The splendour of the Mrauk-U dynasty started to fade in the 1780s, but during its 352 years Buddhism made an impact on all people groups in this area—as a cultural way of life as much as a religious one. Small tribes such as the Chak, Dainet and Thet have remained strong Buddhists to this day. Location in Country: More than 1,200 Chak live in the Blue Mountains of Rakhine State in Myanmar. 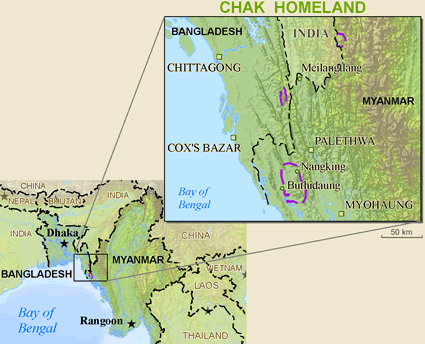 A similar number of Chak live across the border in the Chittagong Hills Tracts of Bangladesh.